As my writing has divergeddeveloped I have come to the conclusion that the categories I use to classify my posts no longer cover my subjects very well. Also there are too many categories with some being used only rarely (sub-prime anyone). If anyone, perhaps someone with some experience in library-science or whatever it is called, has some suggestions on how to reduce this to maybe 10 (no more than 15) categories and the associated names, it would be greatly appreciated. PS: A big congratulations to US tax payers for investing your tax money in Fannie and Freddie Mae. I hope you did your due diligence? 7 users responded in " I need suggestions for better blog post categories "
Good to see Mr. Austin back! It does look like you have used your categories kind of like a tags. I have only really been reading in the past couple months so I’m not sure if these would work with more of your older posts or not. But that is how I would characterize the different topics that this blog talks about. 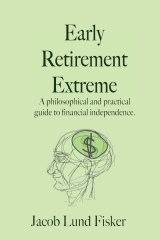 * How much do I need to save for extreme early retirement? * How do I get my spouse to go along with my frugal plans? * What am I going to do with all this toilet paper? * How well are you doing on your way to early retirement? * Are we qualitatively different? I thought you might want one for your hobbies, but those can fit in the biographical category. You might also want a links tag for anything with links to other people’s stuff. Now I just have to go through 250 posts to fix it. Make idea generation one of your priorities, and recognize its influence on your success. Just like you need to set aside time for writing blog posts, you also need to designate time for developing ideas for posts. If you are typing your posts with little or no direction you will have disjointed articles that are less productive than they could be.